One of the best ways to enjoy a sunny day or a rainy day is taking a ride on an ATV. It offers you a sense of fun and thrill. 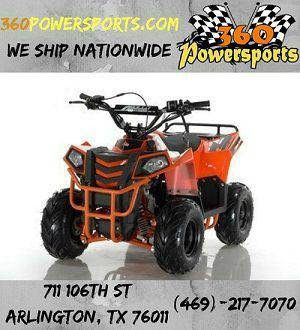 However, to take the best advantage of your ATV, you need to offer regular maintenance to it. 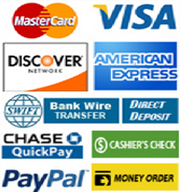 While these vehicles may not require a large amount of maintenance but basic care is required. So we at 360 Power Sports being a leading seller of high-quality ATV bikes for sale, provide you with some of the basic ATV maintenance tips that will keep your ATV up to date and will offer you excellent riding experience in any season! Whether it is a new ride or you are new to it, the first thing that you need to do is read the manual carefully. The best way to know how to maintain any vehicle is to start learning about its individual parts. Also, you will find every minute detail regarding the engine in the manual. When the pressure of the tires is right, you can power out any challenging terrain including the muddy ones. Therefore, it is necessary to spend some time adjusting the pressure of the tires before each ride in anticipation of the terrain you will be taking through. And if possible carry a compressor with you especially when you have to make long journeys between road and mud. Just like any other vehicle, your ATV needs fluids for performing at its best. But it needs the right fluids. If the right fluids are not used, then there can be serious and unnecessary damage to your engine. The fluids include transmission fluid, coolant, brake fluid, and engine oil. However, if in your owner’s manual if any additional fluid is listed make sure to include that fluid each time you perform general maintenance. If you find any of these levels low, top them up before your ride. Air is required by every combustion engine for functioning. And a combustion engine that receives a consistent amount of clean air functions in the best way. The air filter of your ATV fills up quicker than that of your regular vehicle due to the type of atmosphere it operates in. So it is always recommended to have a check on the air filter after every ride. If it is clogged then clean it or if it is damaged then replacing it would be the best way out. Keep a check on the spark plug regularly to save yourself from an engine that won’t start. For better experience make sure to carry a spare spark plug with you! The friction of the uneven terrains can loosen up the bolts of your ATV, so make sure to tighten loose bolts to have a safe ride. Start with lug nuts, pivot bolt, and axle nut and then check for any other loosened bolt that you can see and access. Always make sure to get new grips if the existing ones are worn out as loose and worn grips may cause injury to your wrists and hands as well as interfere in your riding experience. You can also keep a small bottle of grip glue handy for emergencies! With these basic maintenance tips, you can keep your ATV in the best condition and make your ride enjoyable, safe and hassle-free. We at 36o Power Sports are a licensed dealer of ATVs of various brands that include Tao Tao, Kandi USA Inc., Roketa, Ice bear, and more. 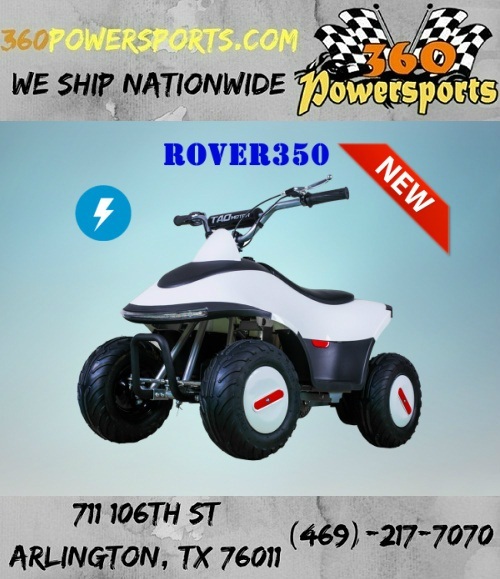 We provide some of the best and high-quality ATV bikes for sale and kids ATV for sale. 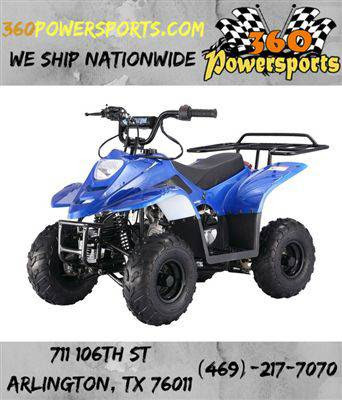 If you have any query regarding ATVs then our highly knowledgeable support team can answer all your questions and hook you up with items from our dedicated parts department. 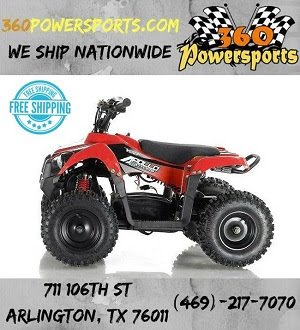 So get in touch with us today at 469-217-7070 or email us at sales@360powersports.com for more information on our ATV bikes and kids ATV for sale.